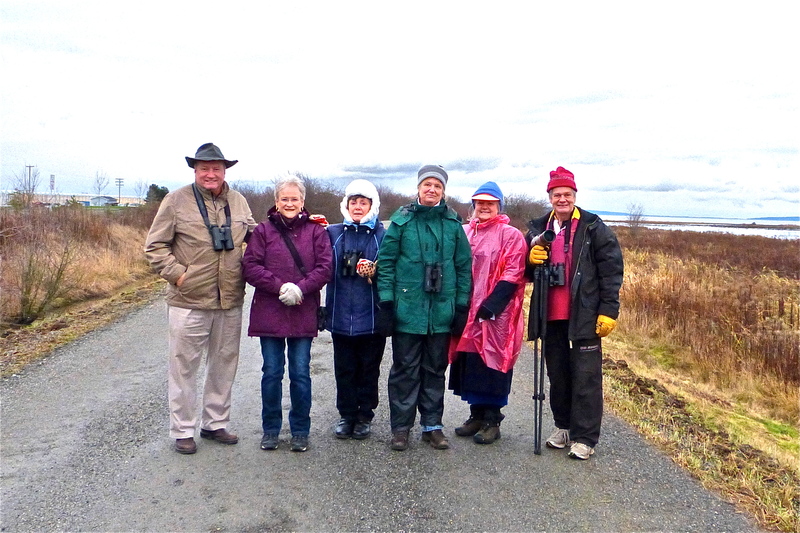 Six brave souls (Susan, Lorna, Marion, Marti, Ken and me) enjoyed a dry and surprisingly nice Monday morning of birding on the dike at 64th Street, then at Reifel Bird sanctuary. Hi-lites were: some neat Warblers, Saw-whet and Snowy Owls and some beaut Waterfowl (e.g. 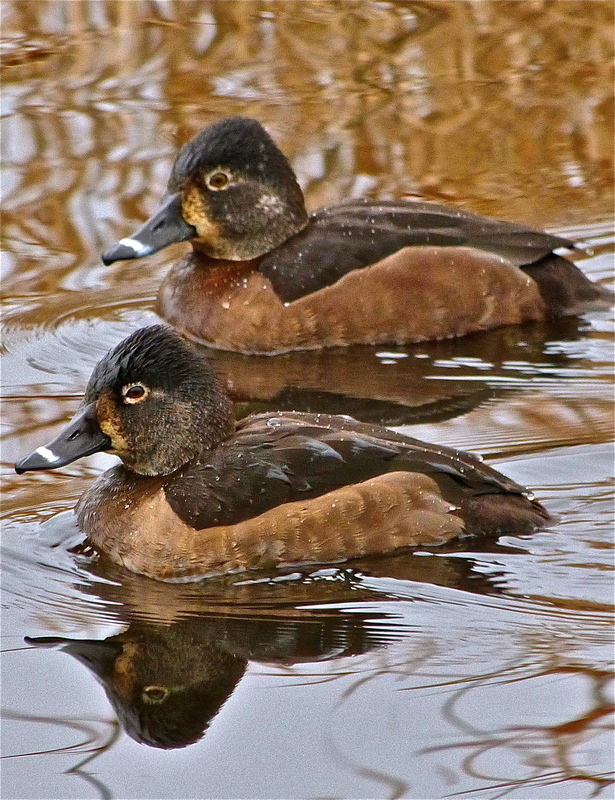 Ruddy Ducks). 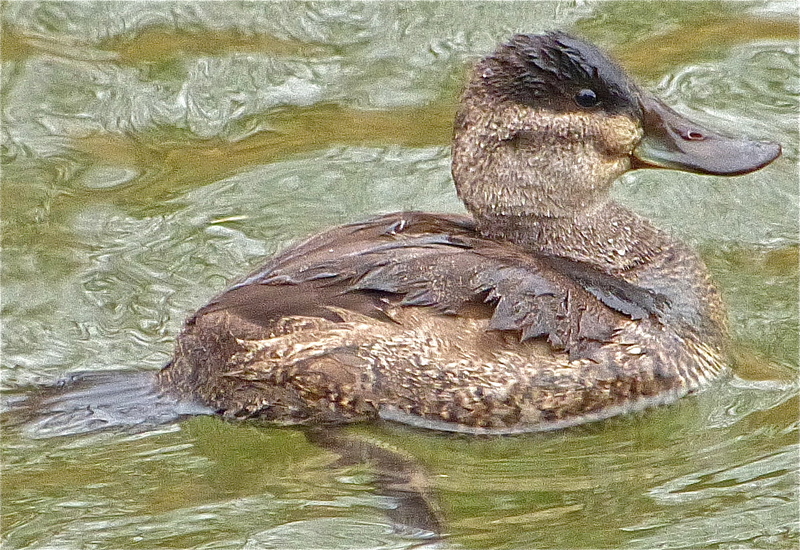 Check out Marion’s photos on our DNCB Picasa site at http://picasaweb.google.com/dncbirding. 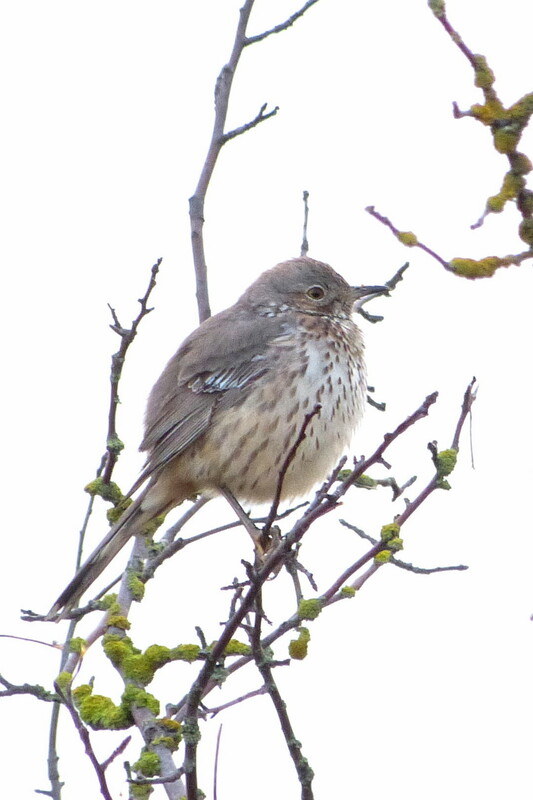 We left Petra’s around 8:00 a.m. for 64th Street in search of the Sage Thrasher. The water was as high as we had ever seen it, almost right up to the dike (a King tide), so there was a thin line of above-water foraging area on the Bay side of the dike. We walked east and spotted lots of neat little birds including: Yellow-rumped Warblers, an Orange-crowned Warbler, Ruby-crowned Kinglet, Lincoln’s, White-crowned, Fox and Song Sparrows, Purple and House Finches (which a number of participants could differentiate), but no Sage Thrasher. We met Richard and Tanya with MV Parks and they apparently saw the Thrasher 10 minutes after we left, right where we said it should be. We walked to the Houweling Nursery home ponds and saw the resident Northern Shovelers, American Wigeon, Green-winged Teal, American Coots and about 20 Snowy Owls, many on the nursery and home roofs. The Snowies were frequently in flight, changing perches, not sure why, but glorious to watch. 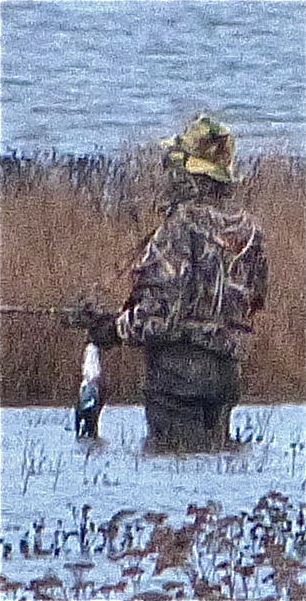 A Hunter was waist deep in the water about (or less than) 100 meters from the dike, picking off ducks with regularity. On leaving, he mumbled almost incoherently that he got his limit as two others replaced him. Swarms of Dunlin were up and down near the hunters. Lots of Northern Harriers around too and a Falcon (probably a Merlin) landed in the distance. We conned a nice “racing dog” couple to take our mandatory Group Photo with Marion’s camera. 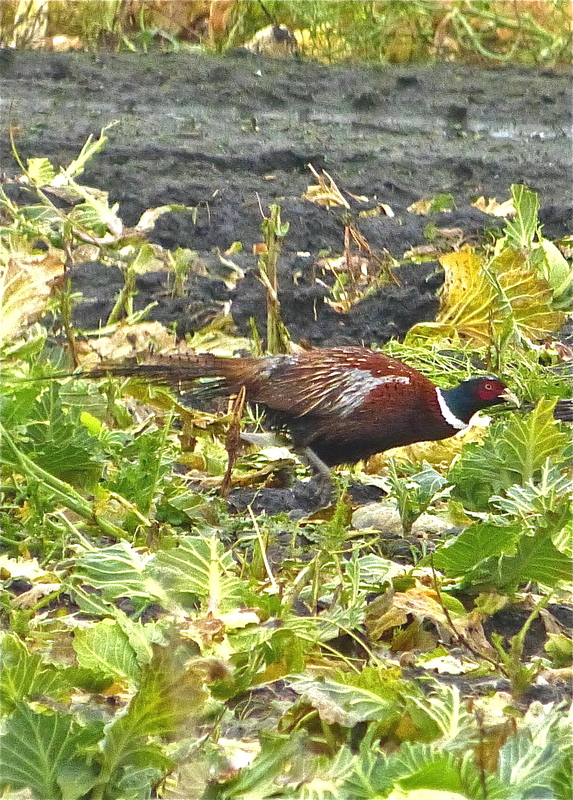 Around 10:00 a.m. Marion’s vehicle left first to Reifel and saw three Ring-necked Pheasants on the way. My vehicle stopped for two separate Cooper’s Hawks perched along 64th. Then, along Deltaport Way there were raptors in several of the hydro towers. Most were Red-tailed Hawks, but it was too difficult to stop with so many big trucks on the road, so I was not able to ID the possible Falcons (Gyr?) or other raptors. We did see at least one Rough-legged Hawk later. We stopped by a few fields to see the flocks of Trumpeter Swans and the large (3000+) flock of Snow Geese near the Reifel entrance. The Common Mergansers were in the slough along the Reifel entrance road. From the Reifel parking lot we watched a flock of Pine Siskins flitting in a tree and a Peregrine Falcon was perched in the “regular” tree in the middle. 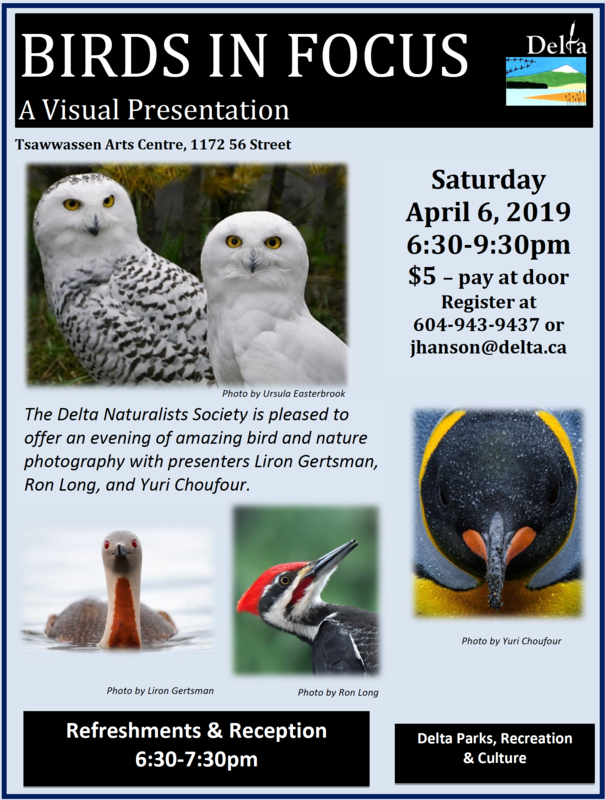 Following a nice chat with Laura, we walked the east dike path, enjoying the gorgeous Wood Ducks and Golden-crowned Sparrows, before finding the Saw-whet Owl in a Holly bush near to where the Great-horned Owls used to nest. We continued toward the tower where Marti’s patience resulted in finding the flock of Evening Grosbeaks, and then Marion heard (and Marti identified) a singing Virginia Rail, which we could not see in the reeds although it kept relentlessly calling about 5 feet in front of us. We then followed the inner trail and saw Ring-necked Ducks, Hooded Mergansers, Bufflehead, Lesser Scaup, Northern Pintail, Gadwall and two Ruddy Ducks closer to the central Lookout. 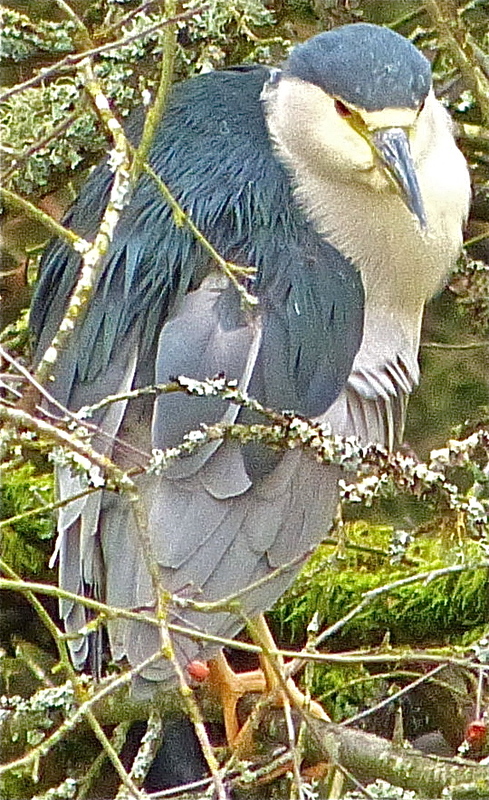 A Black-crowned Night Heron was roosting unusually in an open bush in a central pond, and several saw a Golden-crowned Kinglet and Ruby-crowned Kinglet. 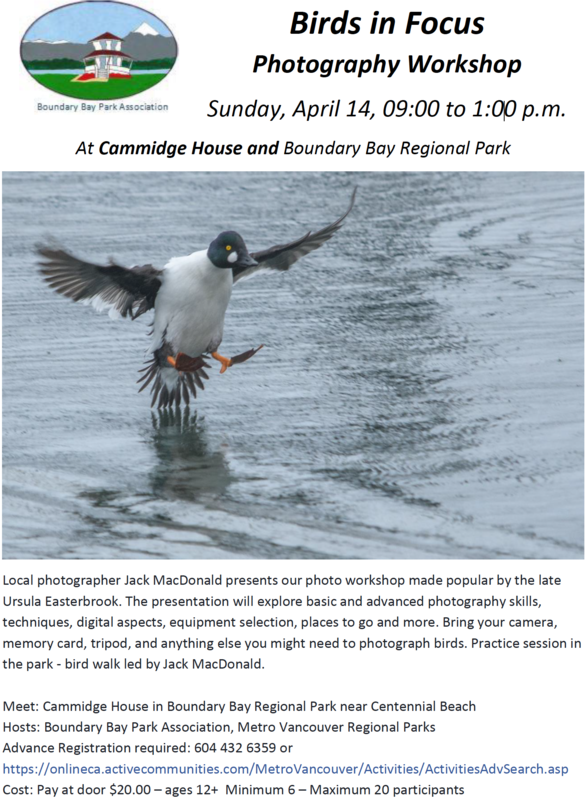 We left Reifel around 12:30 p.m. to attend Metro Vancouver Park’s Snowy Owl Watch Training meeting at Cammidge House at 2:00 p.m. 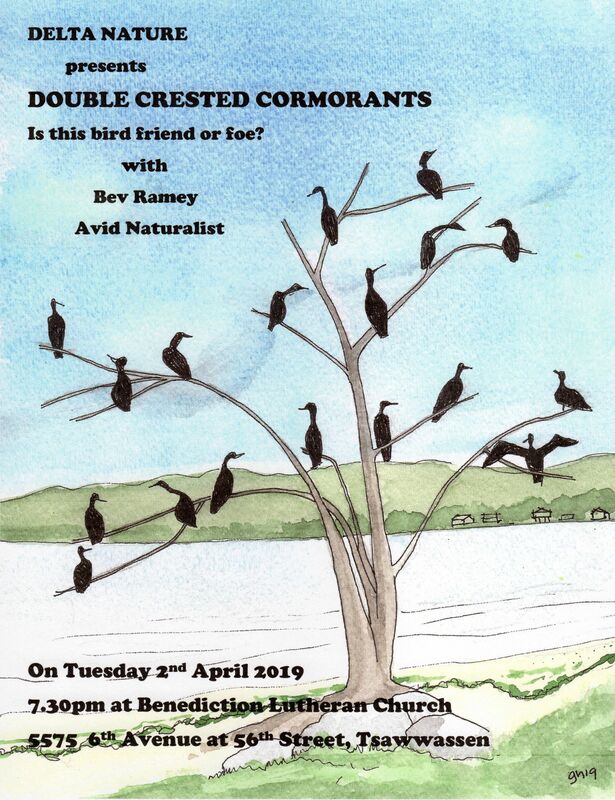 It was another very enjoyable DNCB outing. Monday December 31 – DNCB outing 2012-55. Meet at and leave from Petra’s at 8:00 a.m. I think we will go “local” this Monday morning (New Year’s Eve). 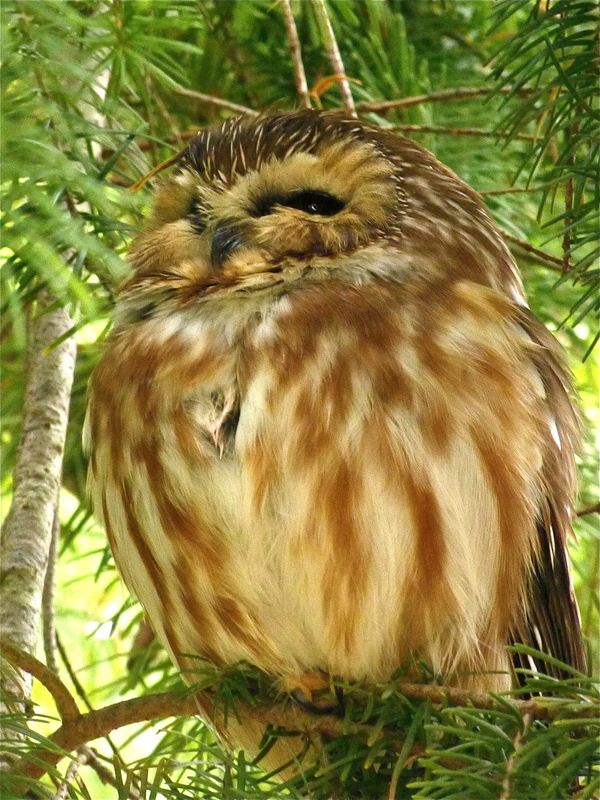 This entry was posted in *DNCB, 64 Street, Bald Eagle, Cooper's Hawk, Gyrfalcon, Merlin, Northern Harrier, Northern Saw-whet Owl, Red-tailed Hawk, Reifel, Rough-legged Hawk, Snowy Owl. Bookmark the permalink.